Archaeologist Bridget Allchin was born Bridget Gordon on February 10th, 1927. Inspired by the work of W.J. Sollas, Bridget had nursed an ambition to study prehistory since childhood; she decided to go to university but made what she calls ‘the disappointing discovery’ that in Britain archaeology was not taught as a first degree subject at the time. She opted instead for a degree at UCL that included Ancient History, spending her Easter break excavating a prehistoric site in Oxford. Bridget’s studies were interrupted after her first year at university when her parents abruptly moved to South Africa and pressured her to join them. In South Africa and of marriageable age, she rebuffed suitors by explaining that she intended to soon return to Britain to continue her academic career; however, returning home became unnecessary when she found that she could read for a degree in African Studies, including Anthropology and Archaeology, at Cape Town University. She studied under A.J.H. Goodwin, learned to speak Sesotho, and – in her free time – began flying lessons under a Battle of Britain pilot who taught her in a Piper Cub. Completing her degree at Cape Town, Bridget continued her plans to become an archaeologist with a single-minded focus; in 1950 she returned to Britain alone to begin her PhD, relying on her savings since childhood to tide her over. She tried LSE but was met with some opposition and told her ‘colonial degree’ wasn’t considered adequate preparation for a research degree; she stormed to UCL, and without an appointment and in what she described as “a somewhat belligerent mood”, asked to meet the Director of the UCL Institute of Archaeology, Professor Gordon Childe. Whisked off to meet him, she managed to convince Childe to admit her to the Institute in less than ten minutes. Bridget began her PhD that autumn, telling her supervisor she wanted to work on later African prehistory and ethnoarchaeology. She describes the Institute of the 1950s as a friendly and eccentric place where she met Kathleen Kenyon (cheerful, redoubtable, and “very much a ‘doer’” who always brought her two large but well-behaved dogs to the Institute according to Bridget); and (briefly) Agatha Christie who came across as quiet and kindly. She also met her future husband, fellow archaeology student Raymond Allchin; they became engaged after the winter holidays. Ever the archaeologists, they married in March 1951 and then honeymooned in the Dordogne to see the Palaeolithic cave paintings. Raymond studied Indian archaeology and was scheduled to spend a year in South Asia; the couple began making arrangements for Bridget to spend her year’s study leave there with him. 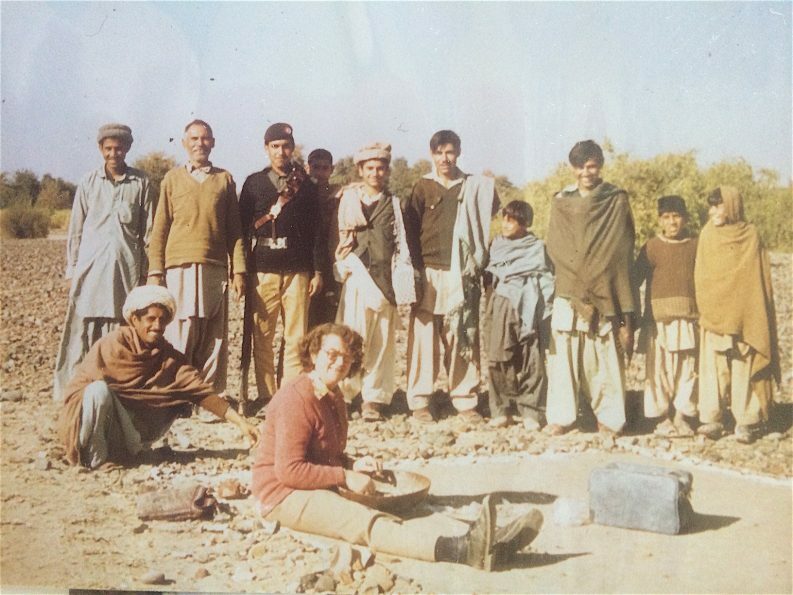 Before World War I broke out, her doctor father had served in the Indian Army Medical Service in what was then the North-West Frontier Province of India (now Khyber Pakhtunkhwa in Pakistan); Bridget herself was now to return for archaeological fieldwork. 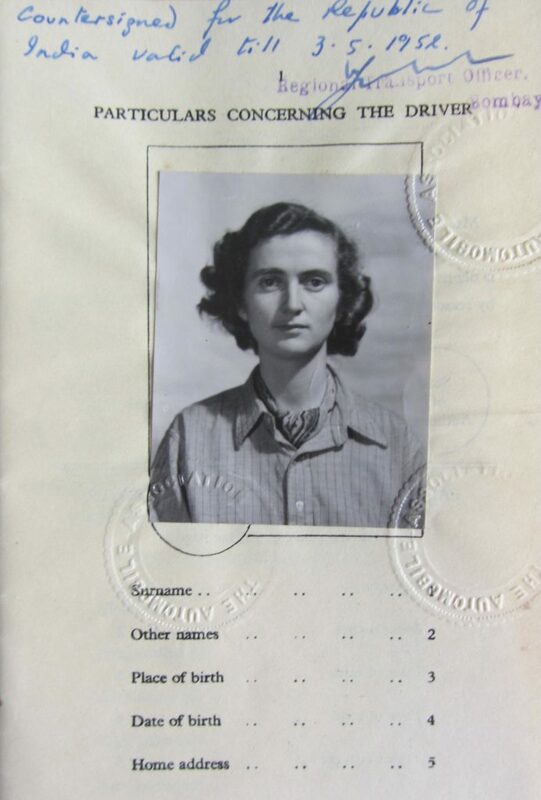 Correspondence from Raymond’s supervisor, Professor Kenneth Codrington, shows him recommending that Bridget join them on their research trip – not least because (very helpfully) she was an experienced driver and he did not drive at all! As they prepared to leave for a year in South Asia, Bridget found that she was pregnant. Undaunted and with her mind already made up to go, she and Raymond hid the news from their families; Bridget checked their travel schedule and prepared to give birth in Bangalore. The couple spent the next six months travelling through South Asia, from Karachi to Bombay, Delhi to Peshawar crossing the Indus River, and to Kabul through the Khyber Pass; by the time they travelled to south India for Christmas, Bridget was nearly 8 months pregnant. She was awed by the richness of South Asian archaeology, from Gandharan sculpture to Hindu rock-cut temples to Mughal architecture; her admiration for cultural heritage was no less as she built up a collection of Indian textiles and ate everything from mithai to idlis (which she described as “the best breakfast we had ever had”). Her newfound love for the region she was immersing herself in was clear when she gave birth to her daughter in early February and gave her the Indian name Sushila. Bridget wrote her first professional paper in this period, on Palaeolithic stone tools in the University of Mysore collection, and then headed back into the field with a 6–8 week infant. She went on to earn her PhD, which was published in 1966 as The Stone-Tipped Arrow: Late Stone Age Hunters of the Tropical Old World, and built a career as a specialist in lithic technology and South Asian prehistory. She had her second child, William, in 1953, and returned to the South Asia for extended fieldwork three years later with both children in tow. 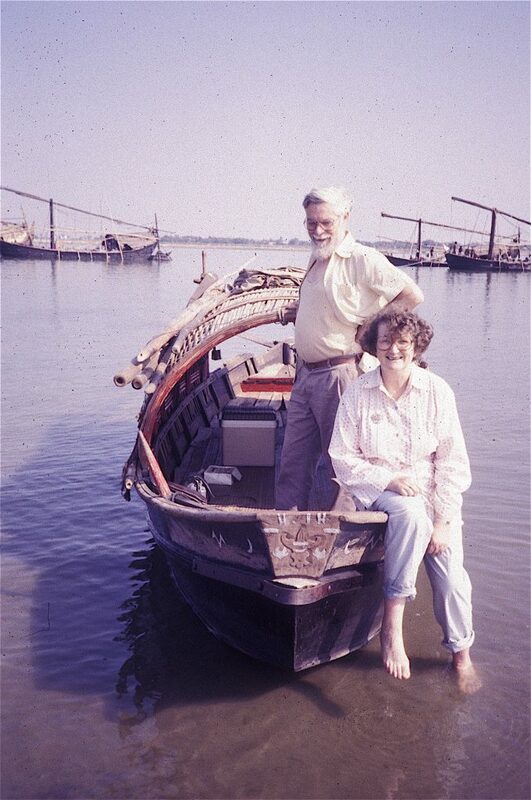 While Bridget and Raymond went on to write on Indian archaeology together, including The Birth of Indian Civilization, The Rise of Civilization in India and Pakistan, and Origins of a Civilization: the Prehistory and Early Archaeology of South Asia, she wrote separately and extensively on her own research interests such as Stone Age settlements and ethnoarchaeology in India. She became a fellow of Wolfson College, Cambridge, and built a reputation as a formidable field-focused archaeologist. Bridget’s legacy in the field of South Asian archaeology, and her efforts to structure the field and provide platforms for teaching and publishing are clear: besides her own ground-breaking research and many collaborations, she is a founding trustee of the Ancient India and Iran Trust; a founding member of the European Association of South Asian Archaeology, editor of the journal Afghan Studies and founding editor of the journal South Asian Studies. In 2014 Bridget was presented with the Royal Asiatic Society Gold Medal; the society recognized her as a “pioneering female field-archaeologist in South Asia.” Bridget and Raymond also give their name to the Annual Allchin Symposium of South Asian Archaeology (see my recent post: Action packed 4th Allchin Symposium on South Asian Archaeology). For more information on Bridget’s life, read From the Oxus to Mysore in 1951: the Start of a Great Partnership in Indian Scholarship, her joint autobiography with Raymond. This post also appears on Trowel Blazers a site devoted to women archaeologists, palaeontologists and geologists who have been doing awesome work for far longer, and in far greater numbers, than most people realise. I was very interested to see Bridget’s driving permit for India in your account. I didn’t know that Codrington wanted her to come along “because she was an experienced driver”. I do know from conversations I had with both Bridget and Raymond that he became a bit of a nuisance about the car later. He was rather keen on borrowing it from them and going off on mysterious journeys. The car would often come back slightly the worse for wear, with dents and scratches. Bridget has left us with very fond memories. Her energy, enthusiasm and dedication were inspiring. I first met her in about 1979 when she and Raymond were excavating an Indus Civilisation site in Rahman Dheri in northern Pakistan. I was then President of the Asian Study Group in Islamabad and we invited them to come and tell us about their finds. Bridget gave us a riveting illustrated talk, taking us right back to early man living on the Potwar Plateau and showed photos of a prehistoric stone tool ‘factory’. This was the beginning of over 30 years of friendship. Bridget has stayed with me here in Switzerland where I now live – I am sorry that I will not be able to attend the funeral.